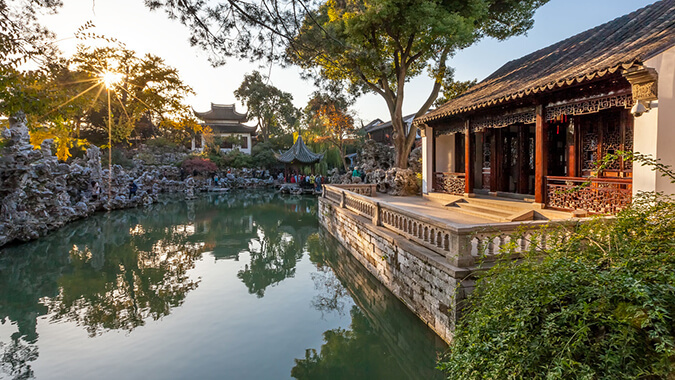 Founded in 1342, it is one of the four famous gardens of Suzhou, the world cultural heritage, the national key cultural relic protection unit and the national AAAA level tourist attraction. 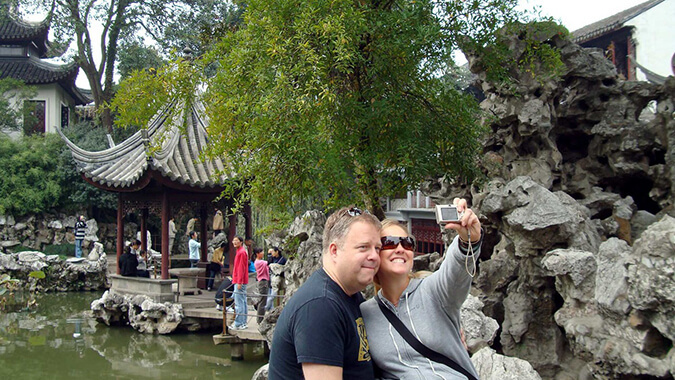 Located in the northeast corner of urban area of Suzhou City, Jiangsu Province, the Lion Forest Garden covers an area of 1.1 hectares and an open area of 0.88 hectares. 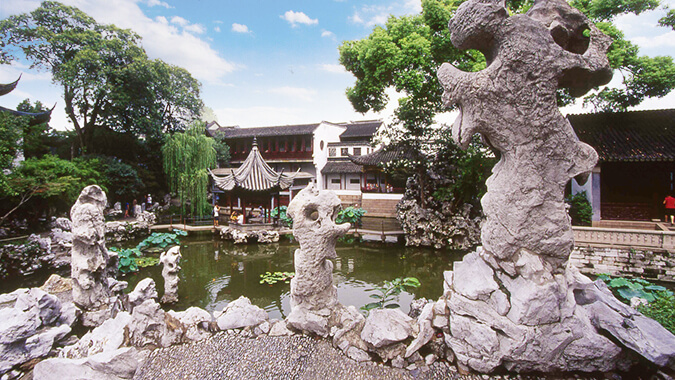 Founded in 1342, it is one of the four famous gardens of Suzhou, the world cultural heritage, the national key cultural relic protection unit and the national AAAA level tourist attraction. Lion Forest Garden is named for “there are thousands of bamboos in the forest, under which there are bizarre stones whose shape are like Suan Nis (lions)”, and for Chan Master Tian Ru got the knack at the middle peak of Pu Ying Guo Shi at Sigiriya Lion Rock, Tianmu Mountain, Zhejing. In memory of the Buddha and the mantle and the inherited relations, the meaning of Leo in the Buddhist scriptures is taken. 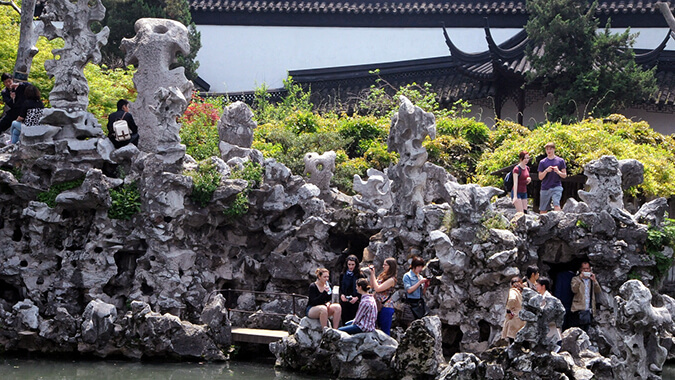 This typical “Buddist Mood” garden is famous for its unique rocks in the lake and mountain, deep caves and gullies, and it has owned the good reputation of “Kingdom of Rockery” for a long time. The rockery is divided into upper, middle and lower three layers, with 9 mountain roads and 21 entrances to a cave. The strange peaks and rocks on the top of the cave stand out like dancing lions. There is a ginkgo biloba that is six hundred years old among the hillstones, whose thick dry old wood interrooted in the stone gaps, offering dense shade in summer. At the eastern rockery area of the Lion Forest Garden are mainly gupers and white pines, while the western and southern mountainous areas are mainly plums, bamboos and ginkgos. The flowers and trees with good color and fragrant and shape are planted with alternate denseness and sparseness that is well proportioned, adding the atmosphere of forest wood. Along the winding road, it rises and falls between the ridge, the peak, the valley, and the col, sometimes piercing the hole, sometimes crossing the bridge, turning left and right, and back and forth, which is inexhaustibly profound. Bus routes: 518, 112, 55, 262, 202, Travel 2, 50 East Line, 50 West Line, Travel 5 South Line, 811, 529, Travel 1, Travel 5 North Line, Travel 1 North Line, Travel 1 South Line, 309.